Iran is ready to respond if the US violates the landmark nuclear agreement signed between Tehran and the group of six countries known as the P5+1 by renewing sanctions against the Islamic Republic, says the top Iranian nuclear official. 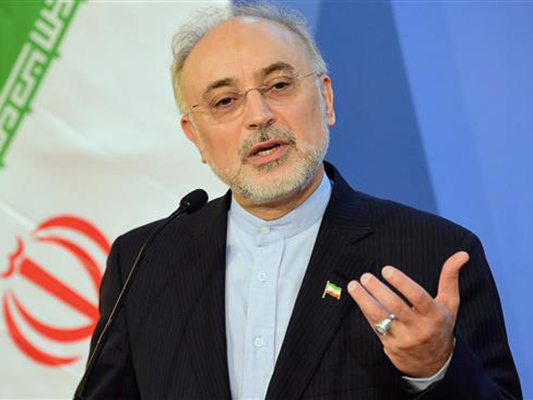 “Iran has made necessary preparations for potential US decisions about the extension of sanctions,” Ali Akbar Salehi, the head of the Atomic Energy Organization of Iran (AEOI), told reporters on Monday. In case of the final approval of the Iran Sanctions Act (ISA), it will “certainly be a violation of the JCPOA (the nuclear agreement, known as the Joint Comprehensive Plan of Action),” he added. Salehi noted that Iran is ready to respond to any US breach of the JCPOA, saying Tehran, however, will make necessary decisions at the appropriate time and after the assessment and analysis of Washington’s moves. He said Leader of the Islamic Revolution Ayatollah Seyyed Ali Khamenei has already provided guidelines to Iranian officials about standing ready to considerably increase the country’s nuclear enrichment capacity. “The JCPOA has brought about an evolution or new paradigm in international diplomatic interactions and all, including Iran, regional and world states, have benefited from it,” Salehi said. He emphasized that Washington will be the “main loser” if it fails to remain committed to its obligations under the nuclear agreement. Salehi’s remarks came a day after Ayatollah Khamenei said the renewal of sanctions against Iran by the US is tantamount to the violation of commitments under the JCPOA. “During the [nuclear] negotiations there was a lot of debate about the sanctions, but now they raise the issue of extending the sanctions in the US Congress and claim that these are not [new] sanctions but renewal [of old ones],” the Leader said in a meeting with a group of Iranian Navy commanders and officials in Tehran on Sunday. “‘Initiating sanctions’ is no different from ‘renewing them after their expiration,’ and the latter is also [an instance of imposing] sanctions and violation of the previous commitments by the opposite side,” Ayatollah Khamenei said. The GOP-controlled US House of Representatives on November 15 passed a bill for a 10-year extension of the Iran Sanctions Act (ISA). The ISA will expire at the end of 2016 if it is not renewed. The bill must be approved by the Senate before being signed by the US president into law.